When I first discovered P.S. I Like You by Kasie West, I knew it would be a book that I wanted to read. All the books I've read by West so far have been great, and I knew this one would not disappoint as well. And, it didn't! P.S. I Like You is probably my most favorite read by West so far! The main character in the story, Lily, is adorable. I love her love for music, and could definitely relate to her through that. Actually, I could actually relate to her in so many ways. She was great. I love her family as well. They are huge and wild and totally loving. She has the type of family that I LOVE to read about in stories. I guess because it reminds me so much of my little family. I adore the storyline for the book. I had read a review before I started the story that said it reminded the reader of the movie You've Got Mail, which just so happens to be my most favorite movie ever, so I couldn't wait to read the book to see this for myself. And it did totally remind me of the movie! An anonymous penpal, who is easy to talk to, easy to relate to, and trying to figure out who it is. Ah, I totally fell in love with this story. P.S. I Like You is the second audiobook that I've listened to by Kasie West in the past week, so yeah, you can totally say I'm hooked. I really enjoyed the narrator for the book, Shannon McManus, who also narrated The Fill-In Boyfriend. She did a great job with the different voices, and held my attention throughout the story. Excellent job! Overall; I can't seem to say enough about how much I loved this book. SO good, and I'm definitely going to have to get a print version to add to my shelf soon. If you're a fan of fun contemporaries, definitely check out P.S. 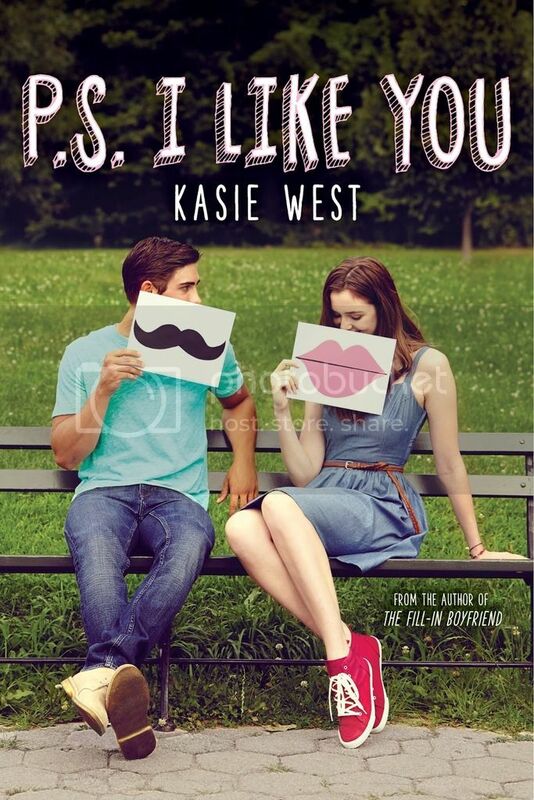 I Like You, and ALL the books by Kasie West! Nice review! It reminded me of You've Got Mail too. I will have to check out her other books.